Everything you do needs cables these days, and you can get a lot of them at a good price today on Amazon. When we talk about PCs around here, we’re usually considering graphics cards, processors, and RAM, but computers aren’t half as useful without the unsung heroes of the PC experience, like cables and mouse pads. Today’s a great day to stock up on these accessories during the AmazonBasics computer and wireless accessories one-day sale. You’ll find deals on cables, mousepads, USB hubs, monitor arms, laptop bags, and more. Just remember that if you see a ridiculous price for cables in this sale, it’s because you’re looking at a “value pack” with a ridiculous number of cables included. Take this 10-pack of three-foot AmazonBasics nylon braided USB A to Lightning cables for $68. That’s down from the usual price of $85, though not as good as the all-time low of $55.24 earlier this year. I’m not sure in what world you’d need 10 USB-A to Lightning cables, but I guess it’d be handy if you’re a prepper who wants cables for their various disaster bags, or a family of five with an iPhone and iPad each. There’s also a more reasonably sized five-pack of three-foot USB-C to USB-A cables for $25.59. That’s only about $7 off the usual cost, but it’s a good price for a type of cable that’s becoming increasingly important. It won’t be long before you’ll be driving yourself nuts trying to find a USB-C cable in a sea of old micro-USB cords. Trust me on this one. Finally, what’s an Amazon sale without a nod to gamers? There’s an AmazonBasics hard gaming mouse pad with LED lights around the side for $23.33 instead of the more recent $30 to $35. 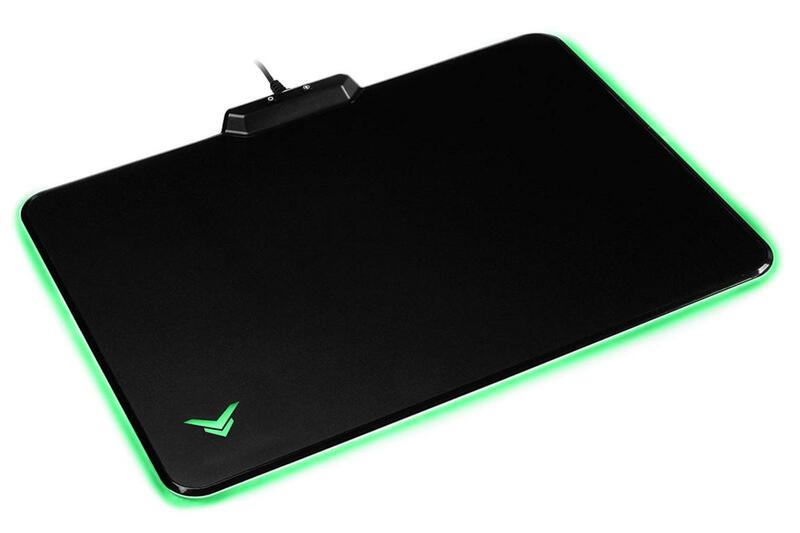 The comparable Razer Firefly mousepad costs at least twice as much. And let’s be honest, nothing says gamer more than using your keyboard’s USB passthrough to power your mousepad.